Relive Whitney Houston’s magical soul, spirit, and strength, both on and off the stage at Eden Cinemas from the 6th of July. This breath-taking documentary gives insight into Whitney’s triumphs and battles, providing a unique window into the life and soul of one of the world’s favourite icons. 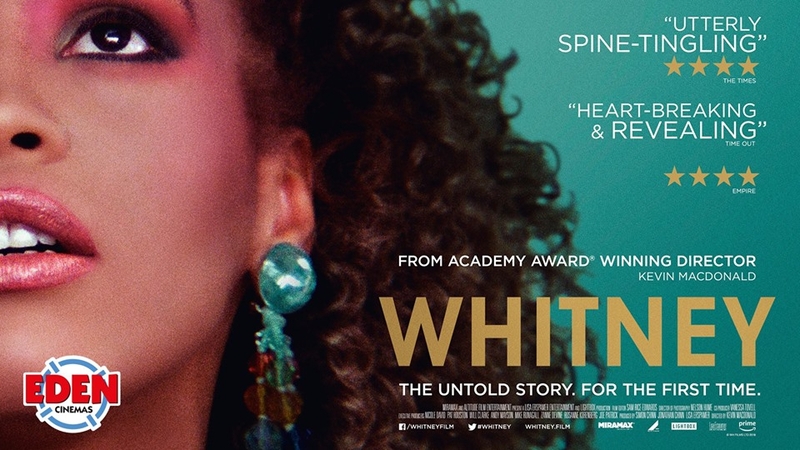 Nominated for multiple awards at Cannes 2018, Whitney has received high praise from audiences and critics alike. Whitney Houston is arguably the greatest female entertainer of the 20th century and one of the most tragic tales to be churned through the headlines. Whitney tells her story, from her rise to global superstardom to her public demise, which ultimately led to her downfall and untimely death in 2012. Through intimate interviews with friends and family, including her mother, brother, and ex-husband, alongside footage of her iconic performances, director Kevin Macdonald (Oasis) delicately documents the success and struggles of the brilliant performer. Gifted with an incredible talent and a love for performing, fall in love with the voice, the legend - all over again.